I pull on my balaclava and step onto the bridge wing. It's loud outside- I can hear the rumbles of nine vessels' engines and the hiss of ten water cannons . . . suddenly the bridge is full of refugees from the upper deck. They are blocking my view out the back windows, but their faces - afraid, excited, awestruck - illustrate the looming presence of the Nisshin. I bend my knees and grip the bench, ready for the crunch. In Blood and Guts, Sam Vincent plunges into the whale wars. Vincent sets sail with Sea Shepherd, led by the charismatic and abrasive Paul Watson. He attends the recent case at the International Court of Justice, which finds Japan's 'scientific' whaling in the southern Ocean to be unlawful. And he travels to Japan to investigate why its government doggedly continues to bankroll the unprofitable hunt. 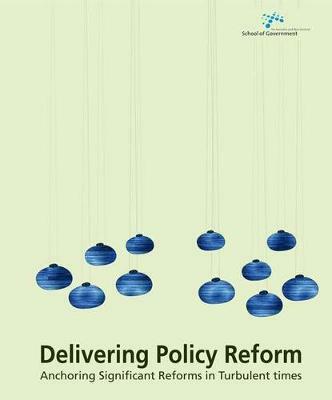 This is a fresh, funny and intelligent look at how Australia has become the most vocal anti-whaling nation on Earth. Vincent skewers hypocrisy and sheds light on motives noble and otherwise. With Japan planning to relaunch its lethal program in 2015, the whale wars are set to continue. Blood and Guts is a riveting work of immersion journalism that lays bare the forces driving this conflict. 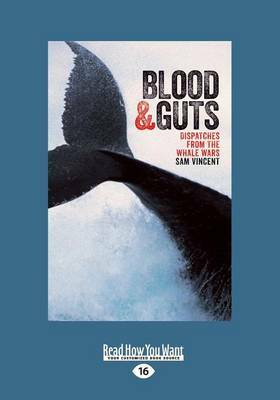 Buy Blood And Guts: Dispatches From The Whale Wars by Sam Vincent from Australia's Online Independent Bookstore, Boomerang Books.